When a student at her college died suddenly, my daughter called in dismay. In conversation it became clear that the shock was so great, she did not know how to feel. Has this ever happened to you? Those of us who can easily say “no” to drugs and alcohol might look down on those who can’t. We could see them as being weak in character or lacking willpower. That is tragically wrong. This time of year brings forth great hope and plenty of suffering. How can those who suffer get through this time more easily? Do you stuff down emotion by eating? Millions of us do, and are overweight because of it. But have you ever really tried to understand what that stuffed-down emotion is? If you can get to the root of deep emotional pain and work it all the way through, you will make enormous progress toward better emotional health. Happiness and Love, What’s the Difference? 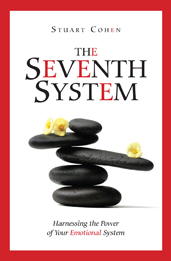 ©2010 - 2013 The Seventh System. All rights reserved.